There’s a moment in Grizzly Man when I welled up, and almost cried at the insane beauty of nature, as a fox climbs upon the roof of Timothy Treadwell’s tent. Its paw prints are seen from the inside, pitter patting down the the tent. Treadwell goes outside and is able to make contact with the fox. Over a few days the fox then becomes tame, trusting Treadwell, and following him around like a stray puppy might after being given a scrap of meat. 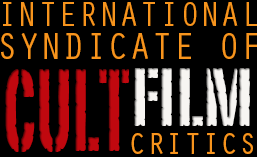 The two play together, at one stage the fox even steals his baseball cap and flees back to its den, causing an exasperated Treadwell to yell expletives. It’s profoundly sweet, but something that should never happen in the wild. 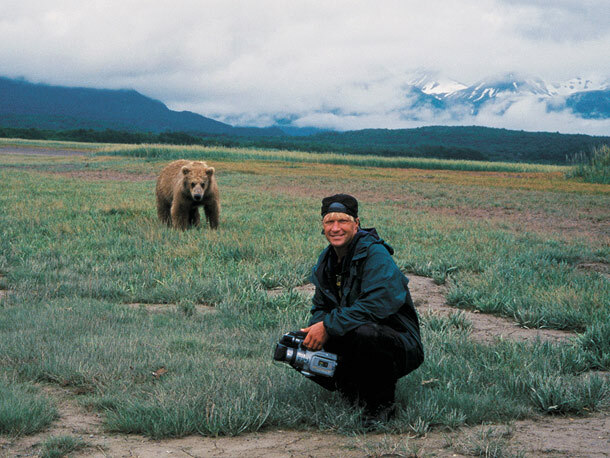 Werner Herzog’s documentary is a powerful piece of film making put together from hundreds of hours of footage that Timothy Treadwell shot during his many expeditions to Katmai National Park in Alaska observing grizzly bears. Like another passionate and eccentric animal lover Steve Irwin, Treadwell would eventually run out of luck and feel the full force of the dangerous creatures he got so close to. Herzog compassionately tells Treadwell’s story, presenting every aspect of a sad and lonely man who found his true calling in the wild. Treadwell was a man who related more to animals then he did to humans. Using testimonies from family and friends we were able to get a true picture of who Treadwell really was, and in terms of Treadwell’s own views, there is enough footage of him telling us exactly how he saw himself in the grand scheme of things. The film does not shy away from Treadwell’s horrifically violent death at the hands of a bear that was likely starved after a harsh season when food stocks were especially low. We are told all the gory details by the pilot who discovered Treadwell and his travelling companion Amie Huguenard’s remains, and the brutal extent of the damage from a coroner who seems thrilled to be on camera. Huguenard is a ghostly presence throughout the film. The true representation of the cost of human life, she isn’t really given a voice and this frustrates Herzog, because you get the impression that he worries deeply that Huguenard will be forever forgotten. There simply isn’t enough footage to tell Amie’s story. We only learn from a diary entry that she was scared of bears. Wildlife experts and conservationists are unsympathetic about Timothy’s demise. They all more or less say that he got what he deserved. That man must respect nature’s boundaries and never try and befriend bears. Treadwell would get within feet of the bears, stand his ground and allow them to sniff his fingers, as if he was a confronted by a kitten and not a furry beast. Treadwell is brave, crazy brave, and there was an unhinged element to his personality which meant he was able to go where no man would dare to go.